We have a voluntary traffic pattern around our elementary school for drop off & pick up. Voluntary. It is not the law. No flashing lights. 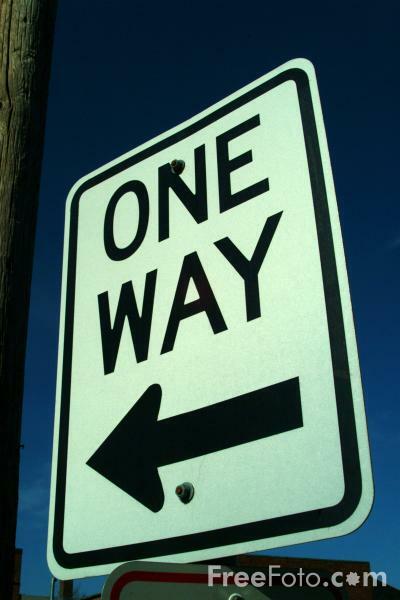 No “ONE WAY” signs. No law enforcement officers for compliance. Just a caring Principal & a zealous Crossing Guard. Kindly worded letters from our Principal regularly request & remind us: Please follow the pattern. For the safety of the students. For the ease of other drivers. For other fill-in-the-blank good reason. I’m a rules guy. I like order. I like convenience. I like safety. So, I do not like it when other parents come from the wrong direction. These salmon parents are always wild-eyed & driving too fast lest their spawn be late as well. Or when folks double park. "Grow up & wait your turn," I wanna wag my finger at them. "Now I know where your kid learned that!" Or when parents simply stay parked in the drop off area. "Are you feeding your kid breakfast in there? Come on!" Don't get me started on the repeat offenders. Those habitual parental scofflaws! (That sounds stouter than calling them "scoffpatterns.") Are these people more important than the rest of us? Do their needs supersede the rest of ours? I have a few ideas for scoffpattern compliance, but I best stop ranting & move to my point. Disobeying a voluntary traffic pattern is a small problem in this temporal life, but it can represents a big problem that can lead to eternal death. Think with me: Am I without sin when it comes to obeying laws? How many times do I follow rules only when it is convenient? How often do I ignore the directions because I don’t agree? Do I obey all that I know of God’s Law? God says of His Word, “be careful to obey… do not turn from it to the right or too the left.” Yet, how often to I treat His Word as voluntary? Just suggestions? Kind recommendations? But not authoritative? And surely not commanding me to obey something I feel otherwise about? Although we follow God’s Word voluntarily, it is the Law. Follow with me, Friends. If needed, you can change your pattern to obedience over convenience, service over selfishness, & drawing near to God over running our own way.